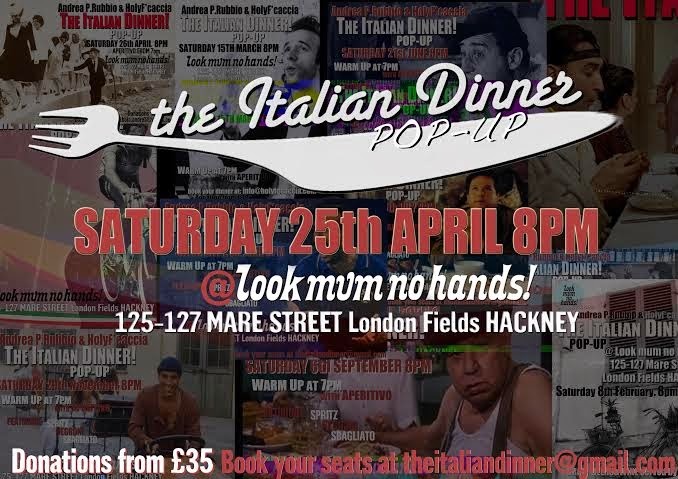 The Italian Dinner is a regular monthly pop-up / supper club, held at the cycling cafe Look Mum No Hands at 125-127 Mare St, London E8. Run by Roberto & Andrea, the April dinner is on Saturday 25th, with 'spring' as a strong source of inspiration. Payment is by a donation of £35 (or more) - full details below. "The Italian Dinner is back and we are being inspired by the good weather to propose a spring menu. 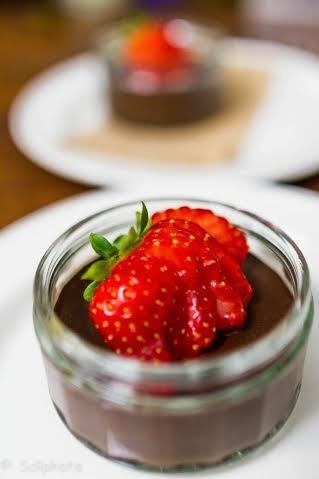 As usual we will be serving a 4-course traditional Italian dinner, from starter to dessert. Expect to eat a home-made dinner, just like what we used to have on a Sunday at nonna's! We normally keep the menu as a surprise but we can tell you we had lasagne, gnocchi, polenta, cannoli and crema fritta in the past. Spring is definitely our main source of inspiration this time!"